If you are in the market for a new SUV then the 2018 Jeep Grand Cherokee should make the top of your list. The Grand Cherokee near Denver offers outstanding safety features. Hands free voice commands, steering wheel mounted controls and automatic high and low beems keep your eyes on the road right where they should be. These are just a couple of the many safety features found in the all new Cherokee. 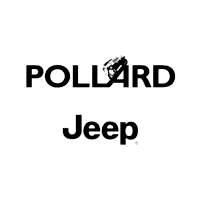 To choose which model is right for you click here and stop in to Pollard Jeep and drive one for yourself.